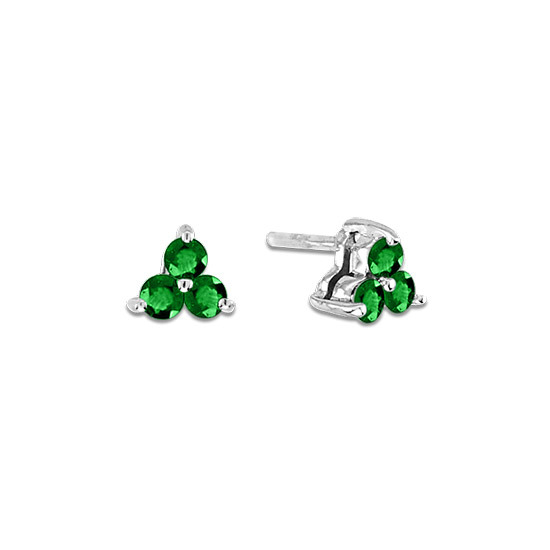 These stunning emerald earrings are available in 14K white or yellow gold. 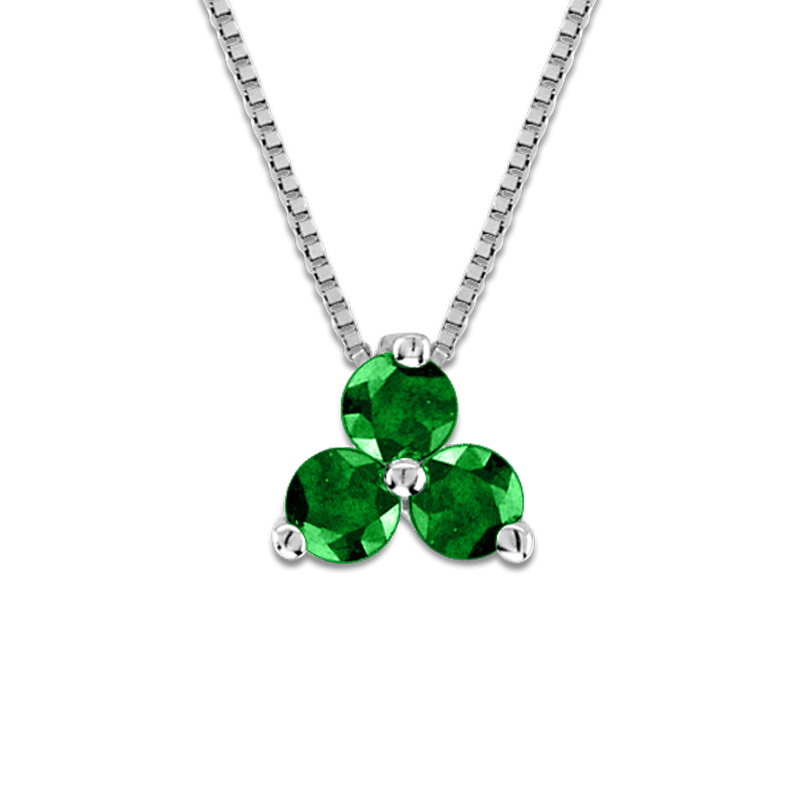 The centerstone may be special-ordered in any precious gemstone color. The round emerald in these earrings have a total carat weight of 0.30 carats.